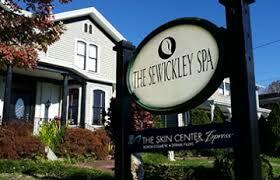 Sewickley is a borough in Allegheny County, Pennsylvania, 12 miles west northwest of Pittsburgh along the Ohio River. It is a residential suburb of Pittsburgh. The shopping district is known as the Village of Sewickley has sidewalks lined with many unique shops and restaurants. It has many unique style of homes and estates.